Your vision is your performance in Internet! Easy management – fast and quality results! You are always available online for your customers! What does a corporate website contain? After researching, we at eSale.bg, prepare interactive and modern look that corresponds to your corporate identity. We fully comply with your messages, colors, style, navigation and everything else to get the desired effect and professional view of your business on the Internet. The main page, also known as a Home page, Home is mandatory and its role is to structure the major topics on the website in one place, allowing the user to reach more detailed information from there. Each single large, medium or small corporate website has information section, where news about the company (the market in which it operates, products or services, the brand and everything) are regularly published. This section (blog / information section) serves as an information channel – the information has the ability to run both directions – to and from users. Creating a community at any large informative or corporate web site is something normal. It plays a major role to engage the consumers to the brand and to “increase” the content and value of the site. Forums are a perfect example of this. Due to the large number of features and capabilities, every corporate website needs additional modules, each of them is developed and integrated in order to meet the needs of the web site. We, at eSale.bg, will get familiar with the details and will offer you the best solutions. Additional modules are mainly newsletters; calculators, weather forecasts, import / export of the content, galleries, video sections and much more. Big content sites are powered by this so-called CMS – Content management system. This helps them manage, update and develop their sites without being advanced in programming. We work with both types of CMS – custom and open source systems, allowing our customers to manage their site easily. Images and graphics are one of the most important elements in any web site, no matter if it’s small or large. We at eSale.bg, offer professional designs. This will guarantee a pleasant appearance of your web site. Why do I need a corporate website? We, at eSale.bg, believe that we can provide you with interactive, modern and identical vision of your company. You need a web site, because your clients are there. The only thing you need to do, is to meet them. Creating a media and forums section to our web site was really difficult hard job, but the experts from eSale.bg did it perfectly. Thanks and we will continue to work with them in the future. 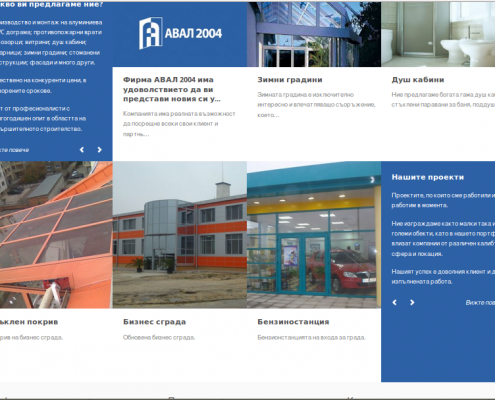 We at Aval2004.com are extremely pleased with the fast and high-quality corporate website eSale.bg team created, as well as the professional attitude. We strongly recommend their company to anyone who wants quality web solutions at an affordable price. As a leading company in the field of accounting and corporate legal advising, we were looking for a company to update the old version of our site and system, in order to achieve the appropriate look and functionality. We chose digital agency eSale.bg. They fully answered to all of our requirements. The result you can see at the URL address given below. We recommend eSale.bg to all demanding customers. The success of our web site entirely due to eSale.bg. The company undertook a difficult task to build and optimize our site and despite the huge competition, together we achieved excellent results. We are convinced that the team of the digital agency has the best specialists, on who will trust again without any doubts. 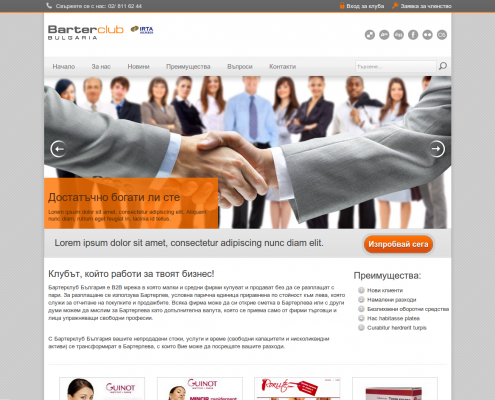 eSale.bg team supports our site at the moment, which warmly thanks for! We will consult you for free in order to understand how your corporate web site should be developed.